Home PAGASA DOST-PAGASA Weather Update for Amihan and LPA as of 4:00 AM 17 January 2019. 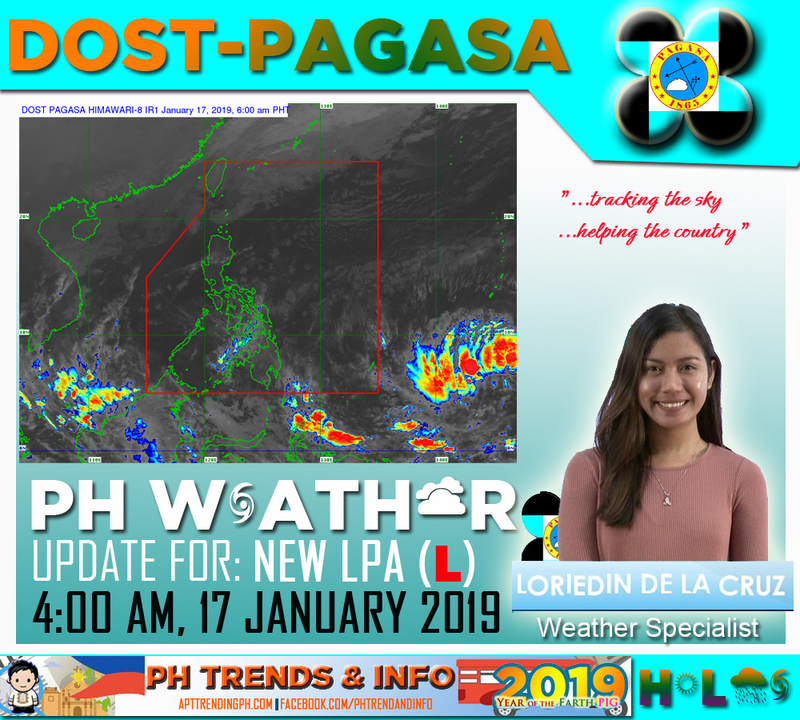 DOST-PAGASA Weather Update for Amihan and LPA as of 4:00 AM 17 January 2019. Details: The LPA is located at distance of 2,395 km East Mindanao (*3AM). The LPA is expected to enter PAR by Friday of Saturday. The weather system is unstable but has a small chance to develop into a tropical cyclone. However, if the LPA enters PAR and became a Tropical Depression, it'll be named as "AMANG", the first name in the typhoon calendar for the year 2019. Batanes and Babuyan Group of Islands will experience Cloudy skies with light rains due to Northeast Monsoon. No significant impact. Metro Manila and the rest of the country will experience Partly cloudy to cloudy skies with isolated light rains due to Northeast Monsoon. No significant impact. listen came on this site today and sat down prime live casino Here I was able to relax and have a good time.